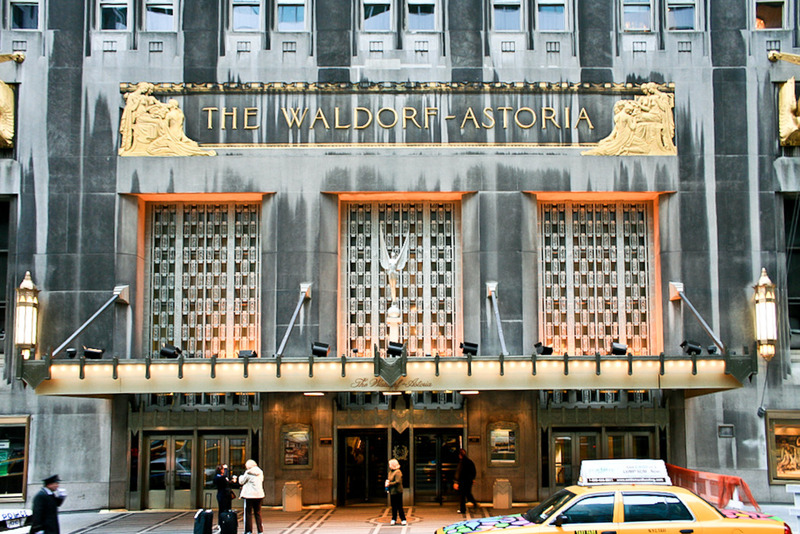 Last month, it was announced that Chinese insurance company Anbang Insurance Group (安邦保险集團 /安邦保險集團) purchased luxury hotel Waldorf Astoria New York for a 1.95 billion USD, the largest ever paid for a hotel and the largest single-asset transaction in New York this year. Did they seal the deal over WeChat? The seller, Hilton Worldwide Holdings Inc. will operate the hotel under its current name for the next 100 years. The new owner plans a “major renovation to restore the property to its historic grandeur”. The US government, who has accused the Chinese government of spying (and been accused themselves), has espionage concerns over the sale. It’s not just that Anbang’s founder and chairman Wu Xiaohui (吴小辉 / 吴小辉) is Deng Xiaoping’s grandson and its directors include Xiaolu Chen (陈小鲁 / 陳小魯) whose father, Chen Yi (陈毅 / 陳毅), was one of the Ten Marshals of the People’s Liberation Army, former Mayor of Shanghai, and former Foreign Minister and Zhu Yunlai (朱云来 / 朱雲來), son of former Chinese Premier Zhu Rongji (朱镕基 / 朱鎔基). The Waldorf Astoria is the home of the US Ambassador to the United Nations and hosts leaders and diplomats from around the world. Of course the Chinese know this. Deng Xiaoping himself stayed and met with Secretary of State Henry Kissinger at the hotel in 1974. A Chinese woman is reported to have bought a 6.5 million USD apartment in the shadow-casting ultra-luxury tower One57 for her two-year old daughter. In New York City, high-profile properties in which Chinese have taken a significant stake include 1 Chase Manhattan Plaza, the General Motors Building (home of the Fifth Avenue Apple Store), and Park Avenue Plaza. Chinese developers, who have learned to manage large projects from experience at home, are involved with ground-up construction of properties such as a luxury condo buildings in Williamsburg at 429 Kent Avenue (with listings on China’s leading Chinese real estate site fang.com) and in Midtown Manhattan at 610 Lexington Avenue. The Greenland Group Co. will own a 70% part of the Atlantic Yards (now Pacific Park), a controversial development project in Brooklyn that began with the Barclays Center. Queens, where you may have noticed a lot of Chinese people live, has also seen significant Chinese real estate investment. For the third time New York surf brand Saturdays NYC gets together with premium Japanese bag maker Porter and retailer Beams. Together they present a new capsule bag and accessory collection for Spring 2014. The new range includes an oversized tote bag, PC case, iPad case and wallet, each featuring the signature Saturdays slash graphic detail. Staying true to its design aesthetic, the collection is minimalist, but modern and fuses the look of the brand and its constant integration of the surf lifestyle. You can buy the new Saturdays NYC x Porter pieces now from the brand’s four retail locations in New York and Japan, as well as online here. In celebration of its latest enterprise — the opening of its space at Rei Kawakubo of Comme des Garçons‘ Dover Street Market, NYC — Supreme is offering an exclusive T-shirt designed by artist Weirdo Dave (FTL). As seen above, the new space carries a selection of regular Supreme goods, while the Weirdo Dave tees can only be copped from this location, so make sure to visit. It’s the most wonderful time of the year! Unless you absolutely dread shopping. If you’re having trouble finding the right gift, this guide will give you ideas for unique gifts and products made with Japanese craftsmanship and ingenuity. Kimono House is a full-service store specializing in kimono, obi, yukata, and haori (jackets) in a wide range of styles and prices and designs for men, women, and children. This online store offers kimono, haori (jackets), and obi (sashes) at affordable prices. Kiteya features a blend of traditional craftworks and contemporary design. You’ll find exotic kimono and delicate accessories, elegant paper, and children’s clothing in this expansive shop. This tiny Chelsea shop is packed with an assortment of beautiful goods from Japan: Stationery, toys, ukiyo-e prints, even kimono. Kyotoya also has a wide selection of teapots as well as tea. A multi-retail space selling vintage clothing, antiques, and Japaense stationery, About Glamour also serves as an art gallery. 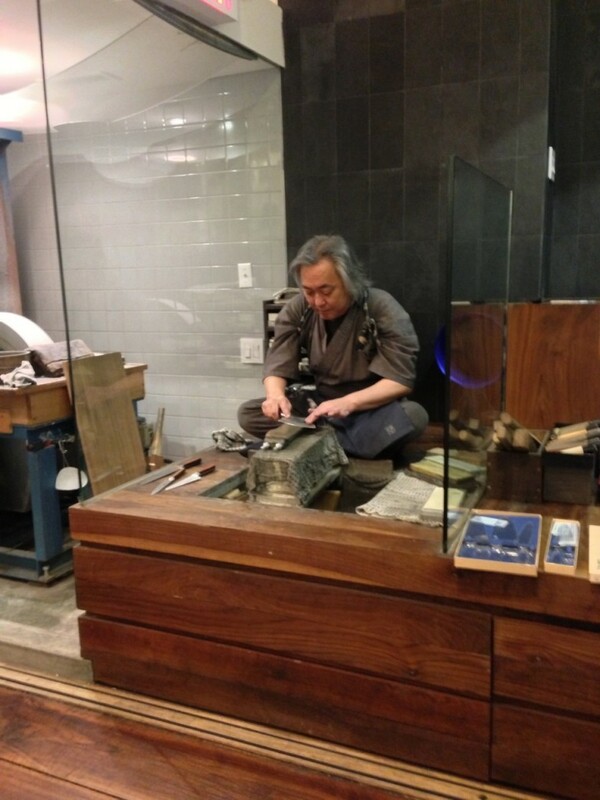 Makari is a Japanese antiques store that also serves as a gallery showcasing the work of Japanese artists. 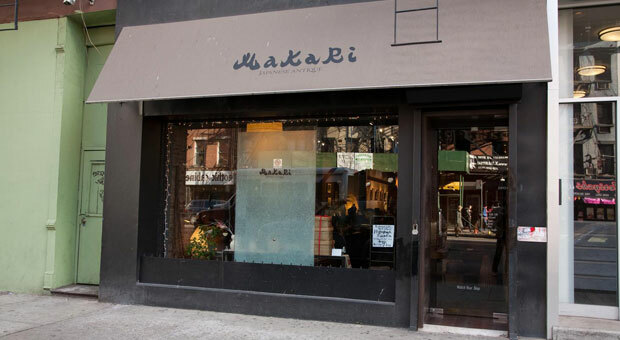 In addition to art, Makari offers tableware, lacquerware, and ceramics. You’ll find a full range of beautiful and elegant Japanese goods at Shibui. You don’t have to be a culinary professional to shop at Japanese Culinary Center, an excellent place to find tableware, knives, and kitchen supplies. Korin has serious knives for the serious chef. You can also find a variety of kitchen utensils and beautiful tableware. Japan’s famous “no brand” store has four locations here in New York. You can find MUJI in Times Square, Chelsea, Soho, and – if you’re really procrastinating – at JFK before your flight to your parents’ house for Christmas. MUJI’s concept is all about simplicity and functionality; it doesn’t quibble with the fru-fru stuff. Unpretentious clothing, clean and balanced storage solutions, well designed kitchen gadgets, and basic electronics are sold here, making it the perfect place for the practical person on your gift list. Since MUJI is dedicated to efficiency and eco-friendliness, you can feel good about making green gift choices during this holiday season. A Bathing Ape, run by popular Japanese DJ Nigo, is a clothing store that focuses on casual comfort. First opened in Tokyo’s Harajuku neighborhood, Atmos sells all kinds of sneakers and other footwear in Harlem. Men’s clothing store Blue in Green specializes in Japanese denim. For the person on your gift list who is into streetwear, Entrepreneur New York provides a mix of fashion from American and Japanese underground cultures. Named after the poisonous snake from Okinawa, Habu Textiles is a yarn and fabric store that sells patterns for people who can actually make their own clothing. A purveyor of made-to-measure men’s shirts, Kamakura Shirts is a place for the consummate professional on your list. 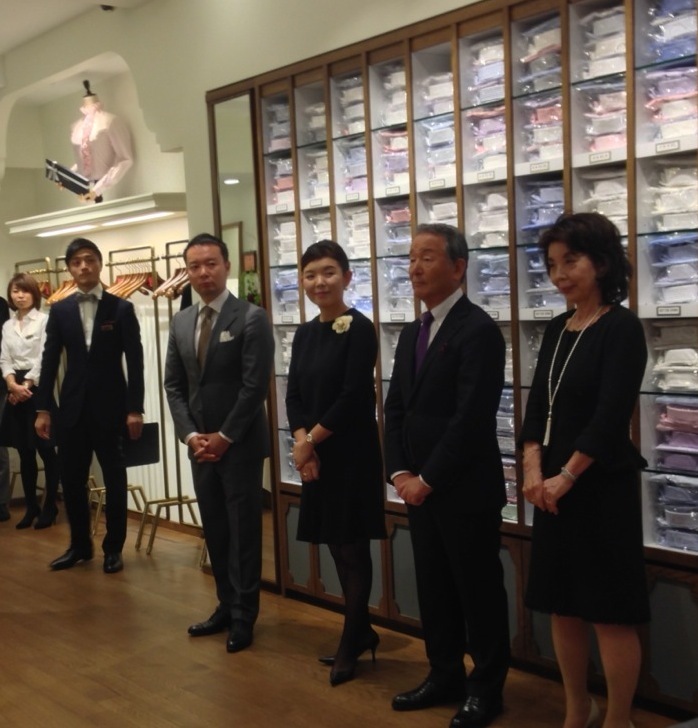 JapanCulture•NYC attended the store’s first anniversary party and learned first-hand about the owners’ commitment to quality and customer service. Named after a tropical pitcher plant, Nepenthes carries Engineered Garments and other top quality clothing for men and women. Once you’ve purchased shirts Kamakura Shirts, why not buy Japanese-style ties to go with them?Seigo Neckwear has unique designs made of 100% pure silk woven in Kyoto and hand-blocked silk-screened ties produced in Niigata. Self Edge is another denim store that carries the best Japanese brands. If you want funky-cool clothing for the fashion-conscious loved one on your list, head to UNIQLO. From outerwear to underwear, UNIQLO has everything you might need in bright, solid colors and comfortable material. The company is partnered with manufacturers to create stylish casual wear at affordable prices. Run by Japanese designer Kanako Morino Mirenda, Yamak is a charming boutique selling chic women’s clothing and accessories. If the bookworms on your list like books about Japan, Kinokuniya has you covered. Kinokuniya is THE bookstore of Japan, stocking books about Japanese culture, pop culture, history, aesthetics – you name it. In addition to books, they have CDs by Japanese musicians, DVDs of Japanese popular movies and anime, and unique gift items. Design shop Waza is located on the second floor. Book Off buys and sells secondhand books and CDs. There is a wide range of titles (Japanese and English) that fit any budget. The place to go for manga and anime, Forbidden Planet has a ton of toys, too. Midtown Comics carries a selection of manga, anime, and Japanese action figures. A great place to go for the gadget geek. AC Gears has the latest electronic gizmos from Japan, including headphones and watches. 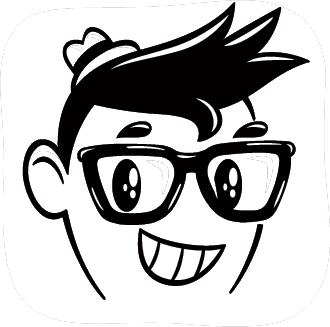 Kidrobot is a producer and retailer of designer toys, importing items from Japan, Hong Kong, and Europe. Shop My Plastic Heart for designer toys such as kaiju and Japanese vinyl. The place to go for Nintendo games, accessories, clothing, and toys, Nintendo World Store also has a section dedicated Pokémon. If you want a break from shopping, stop buy and play games. Sanrio’s Times Square boutique features the cutest toys and accessories from its line of adorable characters, most notably Hello Kitty. 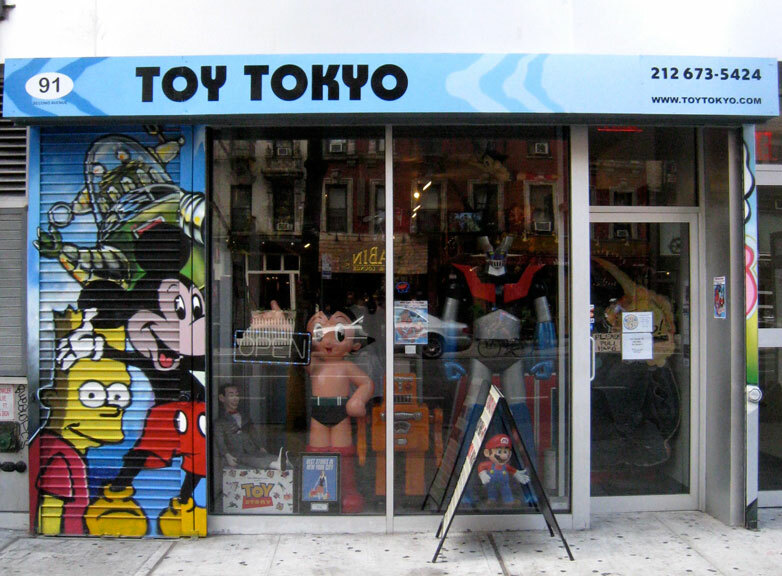 Many of Toy Tokyo’s products are from Japan and Hong Kong, but they sell domestic items as well. Another store that boasts toys and other items from Japan and Hong Kong, Toy Qube’s Queens location offers an alternative to fighting the crowds in the city. 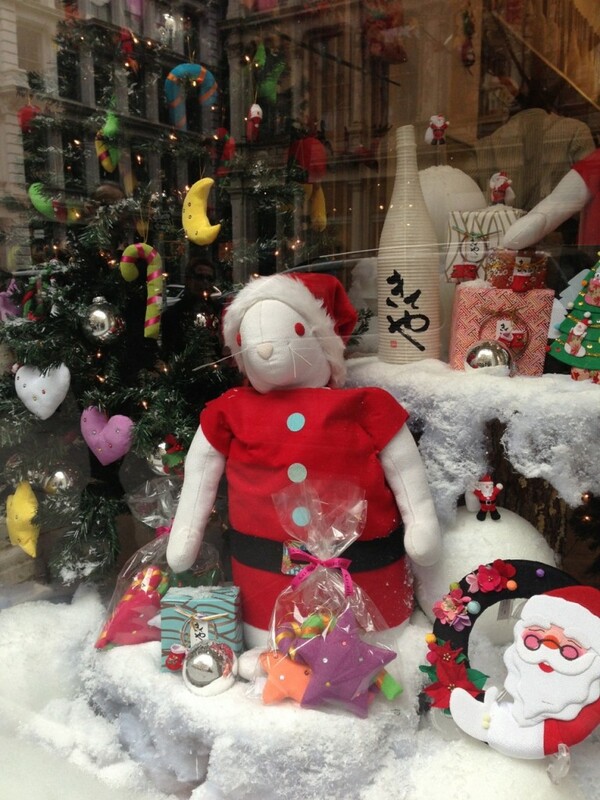 Zakka is a specialty store for Japanese design books, toys, and shirts by Japanese artists. For luxurious wagashi, traditional Japanese confectionery, head to Minamoto Kitchoan. Hailing from Sapporo in Hokkaido, the northernmost island in Japan, Roycé, the inventors of the potatochip chocolate, has milky, melt-in-your-mouth products sure to please the sweet tooth on your Christmas list. It looks like Japanese brand COMME des GARÇONS is staying busy this month and takes New York City by storm. Not only are they opening their multi-brand Dover Street Market concept store on December 21, today the brand also announced the re-opening of its COMME des GARÇONS flagship store in NYC. The store stays at its previous location at 520 W22nd Street.